Kickstarter. The land of angel investors, niche markets and (at least in one point in time) the world’s most successful potato salad. Many people have seen some really great trends start out as nothing but ideas from an inventor and some pocket change from people who’d like to see it made. And out of those, a small number have been wildly successful. But who was the most successful in raising money? 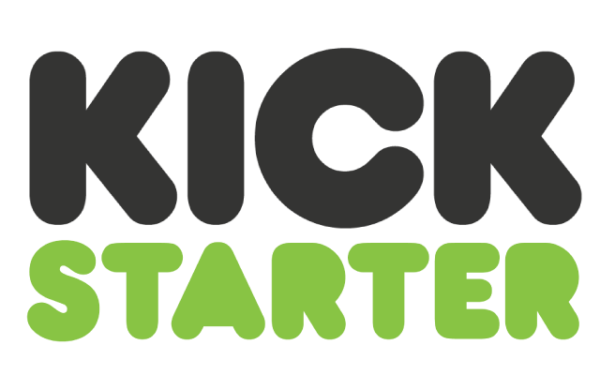 Here, we take a look at the top 10 biggest kickstarter trends ever, and rate them by most money made. Developed by Peak Design, these bags boast they are the best in the business for photographers and everyone else who needs a little organization on the go. 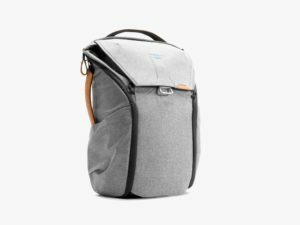 The backpack itself comes in either 20 and 30 liter varieties and have a hard shell design, with a primary expanding compartment with a latch system as well as two side compartments which feature double zips. Also featured are Flexfold dividers which can carry up to three professional cameras (if that’s your preference) and sleeves which can handle a laptop easily for editing on the go. The tote is of similar design, and also features a large external carry rigging, and a magnetic top closure to ensure that even a decent jolt won’t cause the contents to go flying. The sling also has similar features, and all three have multiple possible carry styles. The project at this time has raised nearly $6.6 Million, and the project still has around 2 months left before closing out. For the past decade or so, online trading card games have been all the rage, and this has been the case for physical fantasy card games for at least the past 25 years. 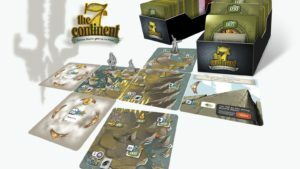 The 7th Continent is an interesting mix of physical card gameplay, and board game mixed with mechanics that one would usually find online. Made for 1 to 4 players, this coop adventure game has a great deal of expansions already, from “The Swamp of Madness” to “Comfort Creatures” at varying prices. Starting at pledges of $76, which contain hundreds of cards and a full starter pack all the way up to $250 which features literally thousands of pieces, this campaign has gained nearly 44,000 backers and has made a total of $7,072,757 at time of writing, with late pledges still available. As a result of stretch goals being met, an app to help with the game is also being developed alongside even more material for the physical game itself. Many people have claimed that Mobile Gaming is where it’s at in regards to video game development, to the point that many people are saying that consoles will soon be going the way of the dodo bird. 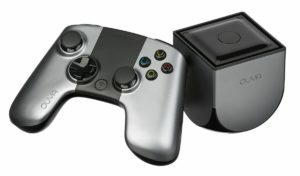 In response to those (likely) extreme claims, Ouya was created as a small platform for mobile gaming on TV. Featuring deals with iHeartRadio and other media platforms, this little console which has 8GB of internal storage and a single HDMI and Bluetooth connection wants to be the center of your media playing collection. As an added bonus, Twitch is integrated into the system so you can stream your own play or watch others with ease. Sadly, the campaign on Kickstarter has now ended, with pledges ranging from $10 (to reserve a username) to $10,000 (for a launch date dinner party with the developers) which made nearly $8.6 Million with the backing of 63,416 people at the end of the day. Sadly this campaign was the bright point of the console, as subsequent years would see this Android-based console fall out of the spotlight with the top game for the system only getting around 7,000 copies sold. No, this isn’t something to give your “friend” who is way more into PETA than they should be to stop them talking to you forever. 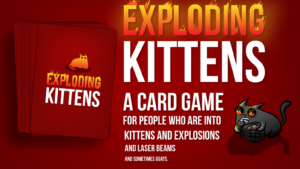 Instead, exploding kittens is a card game which the makers describe as strategic Russian roulette, with kittens! Made by the same people that produce The Oatmeal website, which ensures creative artwork and even more creative ways to get out of a fur-grenade laden fate. During the campaign which ended in just a month, $8.8 Million was raised with nearly 220,000 backers, with an initial goal of only $10,000. Pledges covered anywhere from $20 to 5 people who put up $500. Unlike the previous entry, this card game has seen wild success since it left Kickstarter, appearing in retailers like Amazon and even has a sequel by the name of Imploding Kittens. If you like card games ala Cards Against Humanity, but don’t quite want Grandma playing the “Biggest Blackest %@#$” card, this may be a great alternative. Everyone wants to be the best at something, certainly. But never in my life would I imagine I would come across someone claiming to have made the World’s Best Travel Jacket, and according to nearly 45,000 backers, be right. This Jacket from Baubax has 15 features which include a neck pillow, earphone holders, a drink pocket, iPad Pocket, eye mask and even a portable phone charger pocket, this jacket is very much oriented towards someone who wants to stay connected or asleep on the Seattle to Tampa non-stop flight. This garment comes in four different styles (Sweatshirt, Windbreaker, Bomber and Blazer) for both men and women. 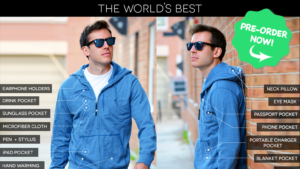 Overall, this product got nearly $9.2 Million on Kickstarter, with pledges that get you a Jacket from $89 to nearly $1100. Despite the campaign ending in November of 2015, you can still buy this product from Amazon, though it appears to have somewhat lukewarm reviews at around 3.5 stars out of 5 on average. Starting its campaign in 2012, this was one of the first real big successes on Kickstarter. Earning nearly $10.3 Million by almost 69,000 backers, this watch only had an initial goal of $100,000. Amazingly, this campaign started off with a bang with $1 Million being raised in only 28 short hours. 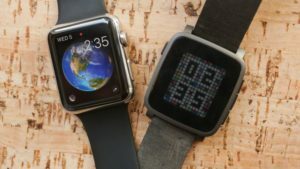 One of the key features of Pebble is that apps can be customized to the Pebble to better work alongside the watch, and everything from music players to golf range finders have signed on to the device. One of the first smartwatches and way ahead of the curve, pledges of $1 would give people regular updates, while the watches themselves started at $100 per. The pledge period ended in 2012, with many very excited comments including “I was throwing money at my computer screen while reading this”. Featuring many aspects of the later developed Fitbit and Android Watch, if I was in 2012, I probably would have too. 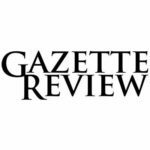 Popularity for this product has waned a little bit over the years but can still be found on Amazon easily enough, as well as several new iterations of the Pebble. A pretty common trend on Kickstarter is, if it’s a good board game, you’re looking at pretty good interest. Kingdom Death: Monster 1.5 is yet another game that incorporates card aspects, but also with many influences from Pathfinder or Dungeons and Dragons, including plastic figurines that are very well crafted. Despite being relatively new, there is also an absolutely massive fan base for this game that has a great online community presence. Some players describe this game as Dark Souls or Bloodborne put onto a board, with a self paced story with plenty of options for expansion. So far, this campaign has over 19,000 backers and $12.4 Million in pledges, ranging from $50 to $2,500 in size of pledge. In terms of current options, some of the more expensive backing pledge rewards are available, though most of the base level is through, and delivery of these higher end goods would be around December 2020. 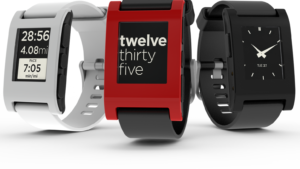 The Pebble is one of Kickstarter’s greatest success stories. 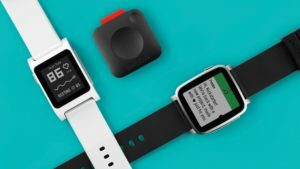 Not surprisingly, the sequel, the Pebble 2 was another big success on Kickstarter, overshadowing its predecessor by quite a bit. With 66,673 backers, an amazing total of $12,779,843 was raised, with only $1 Million being the initial pledge request. In terms of improvements, all versions have some great features. These include an ability to use Alexa with the watch, 3G capabilities, workout and heartrate tracking, and support of Spotify. It also includes a runners “S.O.S.” button, and for those who work with tech it also has programmable buttons and ports to add on more hardware to really customize your piece, as well as SDK access. Many (including myself) see the Core’s relation to the iPod Shuffle and seeing it as a huge step up from the now discontinued Apple product, and the watches are certainly right up there with the best in terms of manufacturing and feature selection. The prices are variable depending on “early bird” specials (which are still available) from $79 to $339. In my University days, I rarely went to parties. But when I did, I never thought of the cooler as the life of a party. Sure, some of its contents could certainly liven things up a bit, but the outer plastic shell was not even an afterthought. Ryan Grepper, an Oregon inventor, saw this as an opportunity and took it to wild success. 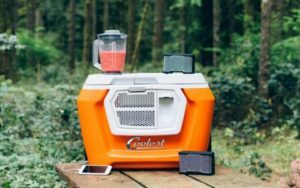 Getting the attention of 62,642 backers and subsequently being pledged $13,285,226 (well above the $50,000 goal), this cooler features some interesting features such as an 18 volt rechargeable blender ( a great use of that cooling ice), a removable Bluetooth speaker, a built in bottle opener, and the ability to recharge devices with a waterproof USB charger. The internal side of the 60 L cooler has LED lighting in case you want a bit of night time fun, and features bungie attachments so you can stack other supplies on top, and plenty of compartment spaces for plates and knives, as well as internal organizers for food and drink alike. Sadly, the time to get this cheaply is over as the Kickstarter campaign had this at around $165 in 2015, and modern Amazon prices are around $450. That’s right, the number one Kickstarter with the most money earned is again from Pebble, this time their Time series. These are essentially the same as previous models with some software improvements and a much more luxurious look. 78,471 backers have pledged $20,338,986 to see this project succeed, and with a great deal of popularity both on and off the site, I do believe they have made it so. What is surprising is, just as their previous models have been well below expected pricepoint, even the luxury Pebble Time models will cost you less than $200 on average.